It's just one thing after another with this car. Just had my uncle replace the front right cv joint (which took about 6 hours). While he was working on my car I noticed the parts of the engine looked moist (not greasy). I found that the oil feed line may be the culprit. Is this something that needs to be addressed ASAP? Or can I just ignore it for another year or so (when I may be getting a newer used car). **If anyone was curious, the clicking sound when driving has pretty much ceased. Here are some photos of the CV joint. 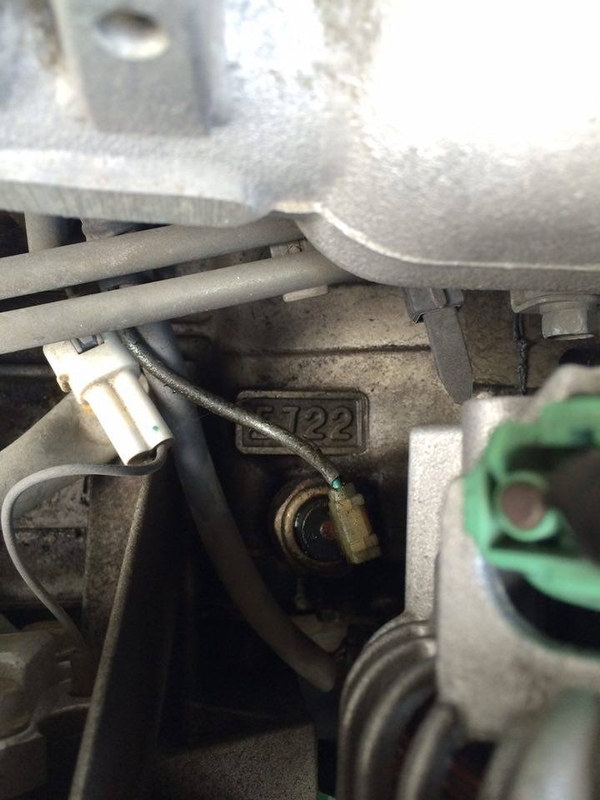 Oh that looks like a simple fix---the oil sending unit is leaking. 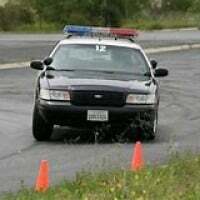 That's not a line, that looks like a wire. 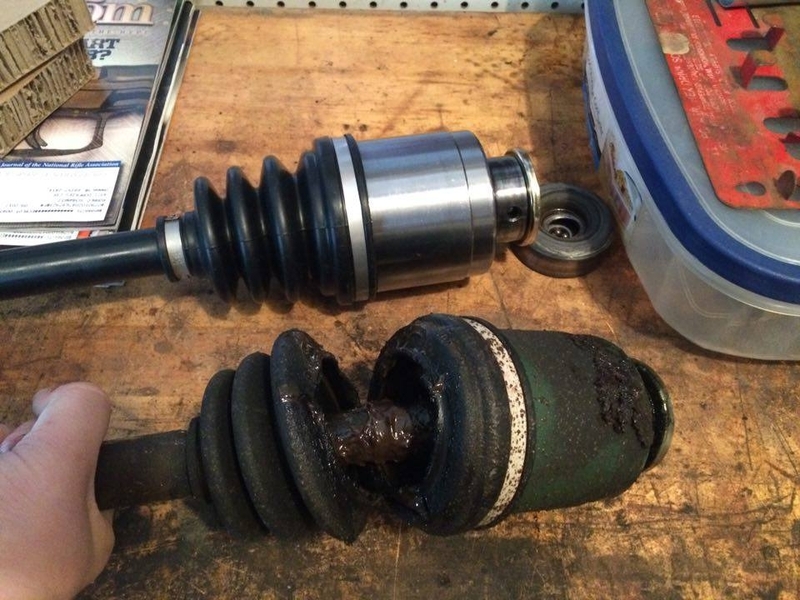 "Just had my uncle replace the front right cv joint (which took about 6 hours)." What??? That's a usually very easy job that takes about half an hour. What went wrong? 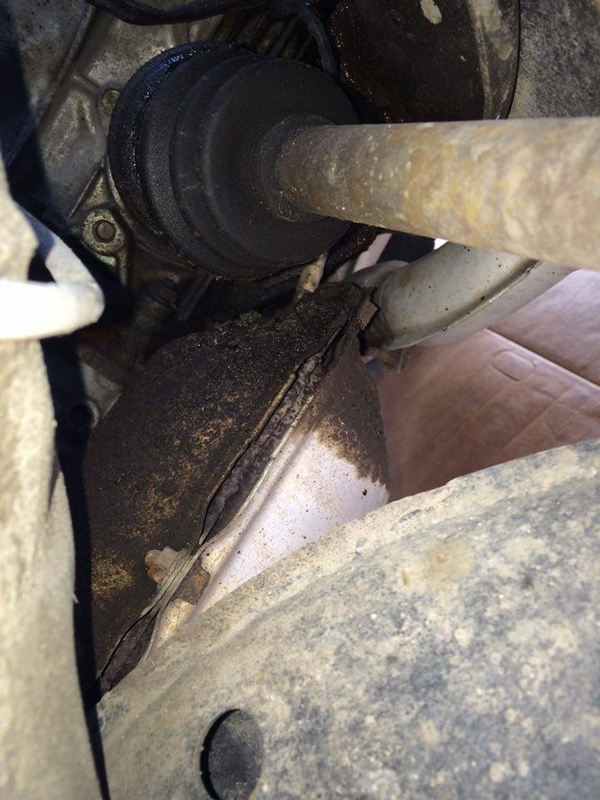 "Just had my uncle replace the front right cv joint (which took about 6 hours)." What??? That's a usually very easy job that takes about half an hour. What went wrong? The pin connecting the CV joint to the transmission was rather difficult to get out. The tool my uncle used got stuck inside the pin and actually broke it (finally came out after two hours). Then, there were parts that were rusted, and grease everywhere that slowed progress. He had those, but the pin was refusing to budge. I think dried grease may have acted like glue to make it more difficult to get out.